Do It Yourself? ........So far, we have had ONE customer...PICK UP his Viking Boat Lift himself, and INSTALL it himself (with a little help from his friends). From talking with Bo, he understood the technique and engineering needs of a properly installed boat lift, and therefore, had few problems in doing it right. This aspect reflects the simplicity of the physics utilized in the function of our Viking Boat Lift. It works, and it works well and easily. Ask any scientist or engineer: the simplest device usually works the best. Counting Counts ........Sometimes in our conversations with you, our clients, we refer to a particular photo which illustrates some aspect of our Viking Boat Lift. To make it easier than saying "...with the red boat on page two, with the deck chairs and a mountain in the background", we have decided to NUMBER our photos. The sequence isn't exact as we switch some around to form a group sometimes, or delete one or two. We hope this is more efficient for all. Just for your interest, here is a little more info on Martinique. Finally!....A Little Recognition ........It took the powers in the media a little while to notice someone like Bo,...quietly doing his work, creating a useful, needed product for the boating/cottage public. With no-one nagging him or looking over his shoulders, working away in his shop, he continued to turn out his brand of boat lift, using an ever-increasing effort, aimed towards perfectionism. This kind of dedication to doing good work prompted word-of-mouth to reach the press. HERE is the article. Weather,...it comes in all sizes! ........You use it as wind to sail in, you use it as sunshine for great cruise outings, you enjoy its quiet moments for sunsets and even snow creates refreshing views of the cottage, but everything has its extremes, and recently a Viking Boat Lift was called upon to endure such an extreme. It survived to serve again, but sadly, its charge did not. The whole sordid affair, in pictures, resides HERE. 6500 lbs. Held Aloft in One Hand........A 1981 Scarab - 29 footer, prowls the waters and bends it to its will...well..unless it gets REAL rough. But it is the Viking Boat Lift which cradles it above the relentless waves, while it sleeps. Bo did have to customize it a bit, but only one column lifts the number 65. Not Keel-Hauled Yet!!!!! ........A 23.5 foot Beneteau sailboat, ...with a keel, allbeit only 2' -9", did necessitate a second, concerned look, but the ole Viking was up for the job and he created another elegant solution. We knew sailboats would fit in just fine, to the Viking Boat Lift. Innovation Plus!! !........The gauntlet was thrown and the challenge was accepted. Up in Bronte Harbour, Oakville, Ontario, Canada, we have just lifted a 42' Fountain. Her weight, approximately 12,000 lbs., we used two electric motors, working in tandem, to easily lift this beauty up and out of the wave's activity. Got a challenge for our master builder/designer, Bo? Hot--Hot--Hot........That is the only word to describe what 2002 has been like for the Viking Boat Lift. Now you can find one, or visit one in most places in 'Cottage Country' Ontario, etc.... etc..... We will be happy to let you know where you can go to see one. "Cliff hanger with a twist".........We attached the lift to an almost vertical rock with four anchors and no base. We made the column with a slight twist on it, so that the customer could drive onto the lift at an angle. (The wall kinda gets in the way otherwise). And (oh, this is getting even better) the bottom section of the column is removable for winter. ICE will not be able to attach and pull the lift away from the wall. Gotta love it! "Rise above the deep".........This is a 17' column, with a lifting capacity of 14'. It sits in 14' of water and hoists a 24' pontoon. It is electric with remote control (remote has up to 700' range). These poor folks searched for 4 years, and no one could provide them with a lift. So sad. But they found the Viking Boat Lift. The story has a very happy ending. "Silt, Mud, so what".........We are talking 4' of silt. Yuck! Could we help? Yes indeed. Really big pads (or feet) at 3' x 3' square. 5000 pound boat to boot, sitting stable, working well. No mud slide here. "Shelf-ish"........Picture a granite shelf with a straight drop. We attached the lift to the shelf. There it sits on top of the shelf looking like it is suspended in mid air and working just fine. 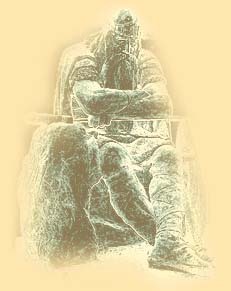 We have a list of useful and interesting links for you to explore. For RECIPROCAL LINKS, see the bottom of this page. 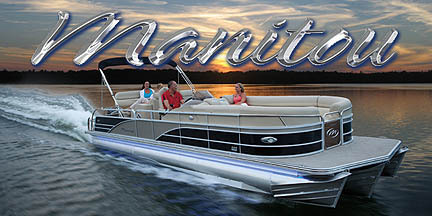 Manitou Pontoon Boats is a manufacturer of a variety of pontoon boats models. Known for their patented V-Toon technology, they push the status quo of pontoon boat speed and performance. Puerto Vallarta Fishing – When you are in Puerto Vallarta fishing for big fish, "Fish in PV" knows how to make fishing Puerto Vallarta an unforgettable experience. Go2marine is an online marine retailer based in the PNW. Our online storefront offers over 150,000 marine products and parts from over 900 manufacturers. We have many shipping options and deliver worldwide. 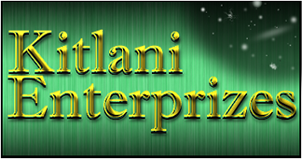 Shop online 24/7; our customer service center is open M-F, PST, 7am-5pm. Fishing Gear - Local reports world wide help anglers learn where the fish are biting, what is working best, and communicate about their local fishing area. in Boat Sales, Marine Gear, Dinghies and Dayboats and Boat Dealers. Offers resources and information about a variety of boat lifts. Marine Electronics and Marine Supply Store - specializes in marine electronics, gps, fish finder, marine supply, marine parts. Listing Ontario Cottages For Rent and Cottages For Sale in Ontario, Cottage Rentals Cabins & Chalets in Ontario Real Estate. Our luxury Alaska fishing lodge offers world class Alaska fishing vacations. 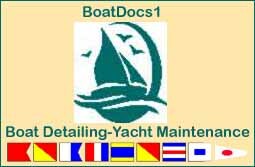 The Marine Web - Your On-line Marine Industries Resource offering access to over 80,000 boats for sale, an on-site search engine, marine financing, insurance, marinas and boatyards, ships stores, and much more. Boat for Sale - Yachts & Boats for Sale here on Yacht Authority. Find your Boat or Yacht here on YachtAuthority.com. We make it easy to find what you are looking for by giving you a wide range of Tools to find them. Top of the line quality rod holders, and stainless steel marine hardware. Performance Product Technologies is all about Marine Engines, Boat Parts & Accessories, including Mercury, Volvo, Quicksilver & More. The founders of Performance Product Technologies have over 25 years of technical experience designing and engineering Mercruiser parts and marine engines for the largest OEM in the industry.